CLIFF WILKERSON | ATTORNEY | AUSTIN | EMPLOYMENT LAW | WRONGFUL TERMINATION | DISCRIMINATION | AMERICANS WITH DISABILITIES ACT - Law offices of Richard Pena P.C. Cliff received his Juris Doctorate from Louisiana State University in 2006. He worked as a law clerk in the East Baton Rouge Parish District Attorney’s office for two years and then served as the Assistant District Attorney in that same office for two years. In 2009, he moved to Galveston, Texas, where his work for the firm Arguello, Hope & Associates was focused primarily on matters related to Hurricane Ike flood damage, litigating on behalf of property owners. 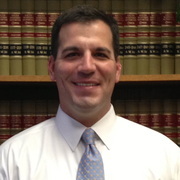 He joined Greer & McGill, P.C. in 2011 to handle litigation on property damage claims against insurers, personal injury claims, and employment claims against employers. Mr. Wilkerson is licensed to practice law in the U.S. Federal Court of the Southern District of Texas and the Eastern District of Louisiana. Additionally, he is licensed to practice in the State of Louisiana. Prior to his career in law, Mr. Wilkerson owned and operated Wilkerson Farms, managing the 4,000 acre farming operation in Louisiana. During his tenure there, he also served as treasurer for the Louisiana Cotton Producers Association, Vice President of the Tensas Parish Farm Bureau, and as a board member of the International Marketing Committee for the National Cotton Council.